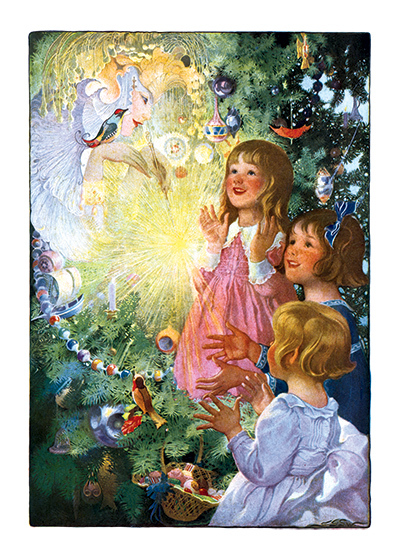 We can understand why his lovely image of an angel bringing a Christmas has long been a favorite with our customers. 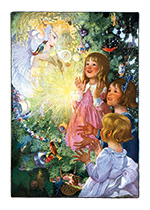 We can understand why his lovely image of an angel bringing a Christmas has long been a favorite with our customers. It was taken from an antique postcard and the beautiful subtle colors are a testiment to the anonymous but obviously highly skilled lithographer who made it.